Primark Flagship store located at the renowned Oxford Street had its brick facade cleaned by our scaffold-free façade gommage® and its windows redecorated. Primark has had a fantastic facelift. London shoppers heading to Oxford Street’s Primark this past June might have been given more than a fashion fix. Unbeknown to them, Thomann-Hanry® have been onsite to transform this formerly tired West End building into a fashionista’s palace once more. 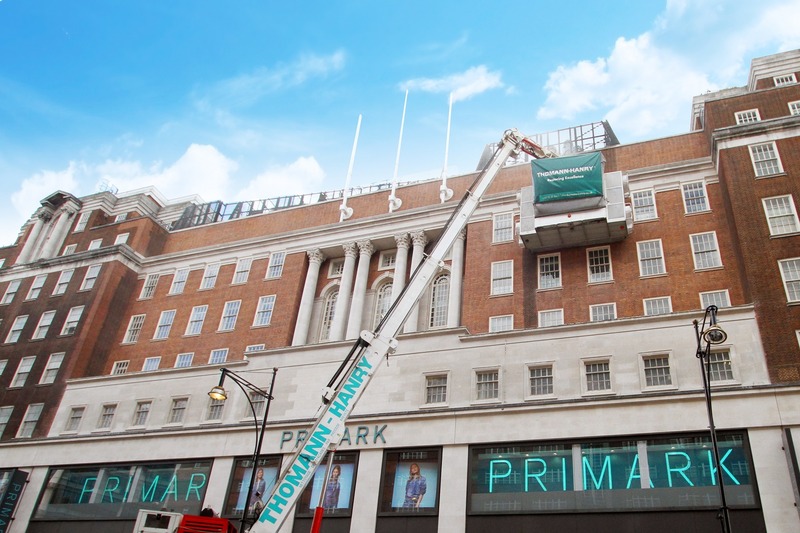 We’ve transformed the façade of London’s flagship Primark store and shoppers were able to carry on shopping as normal with minimum disruption. Once cleaned, the Restoration team completed the Primark transformation by restoring and painting the windows of the fashion store. Whilst the rear was cleaned earlier in the year, the completion to the front façade’s facelift sees work at 64 North Row come to an end.